October | 2008 | Alternate Energy Holdings Inc.
Posted by cleanidahoenergy in AEHI, approval process, Elmore County, Energy policy, Greenfield nuclear development, nuclear industry, Politics and nuclear, reactor types, Snake River Alliance, Water policy. There are several misconceptions about the water usage for the Idaho Energy Complex – misconceptions actively promoted by our opposition. Stuck in out-of-the-mainstream environmentalist thought, their knowledge about nuclear energy technology is just as outdated. 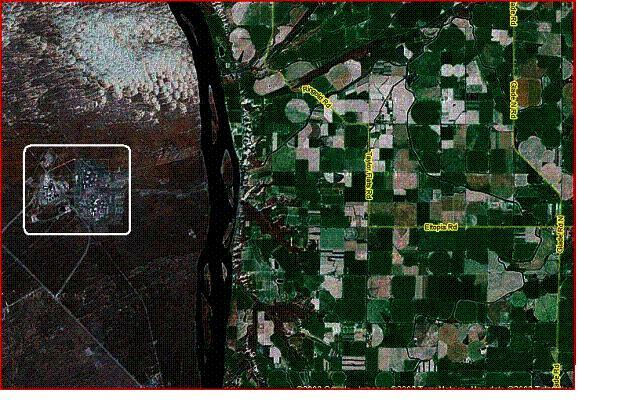 The Idaho Energy Complex will completely drain the Snake River and deny existing farms their water. All nuclear plans necessarily must consume tens of millions of gallons of water a day. Hybrid cooling technology doesn’t exist, can’t exist, or is untested. Our plant will need new water rights for cooling water and of course no new water rights exist. We will put radioactive water in the river. I’d like to deal with the fourth point first. It is intentionally misleading to say our plant can’t work because new water rights are unobtainable. It is true the Snake River is over-allocated and new water rights are hard to get. But any water our plant uses will have to come from existing water rights; the water is out there and it will be our responsibility to negotiate water rights transfers from willing parties. The land we are proposing to build upon already has existing water rights. We will keep water in a reservoir on our land for agricultural re-use as well (see Oct. 22 and Sept. 29 blog entries). Unlike a solar plant or wind farm, a nuclear plant has a relatively small geographic footprint and doesn’t need to displace much farm land. In fact, we will help agriculture by providing low-cost power. There are many acres of prime farmland that cannot be farmed due to power costs. Also, not all water rights are seasonal and there are winter water rights. True, winter water levels are much lower, but in cold weather, power plant cooling works more efficiently and we will need less water. Another myth is that nuclear plants necessarily must consume tens of millions of gallons a day for cooling and that hybrid cooling that can’t and won’t work. True, the old-style plants consume that much (those giant waisted cooling towers with steam coming out the top), because they put out enormous amounts of power and are situated in water-rich areas. But any kind of power plant that creates steam to turn turbines (“thermal” plants) need water. In fact, 90 percent of the non-hydro power plants worldwide produce power in this way and most of them consume large amounts of water for cooling. The Idaho Energy Complex will use a hybrid cooling system, described here. While traditional wet plants consume huge amounts of water, hybrid plants use water very conservatively, using what amounts to a very large radiator to blow away heat. When water is scarce, a hybrid plant can throttle back its consumption greatly. Dominion Generation has applied to build a third reactor North Anna plant in Virginia with a hybrid system. A hybrid nuclear plant may spend an extra one-half to 1.5 percent of its power output to cool itself, making it less efficient than a wet-cooled plant, but using only 10 percent or less of the water of a wet-cooled plant. Not only do dry-type plants conserve water, they are also more benign to aquatic life. Arid environments force new approaches and the few nuclear plants in dry places sometimes use innovative solutions. The Palo Verde nuclear plant in Arizona is the country’s largest, located a state that’s even more parched than Idaho. As the only nuclear power plant in the world not next to a lake, river or ocean, its cooling method is highly unusual – it is cooled with municipal wastewater. So, when our opposition says hybrid-type cooling is unproven, they are very wrong. Even more radical cooling methods are used successfully (i.e., municipal wastewater), hybrid cooling is used on fossil plants and a hybrid wet/dry system is in the process in Virginia. Another misconception is that we’ll consume all the water we use. We are looking to acquire rights up to 10 million gallons a day for cooling, but with a hybrid cooling system, we will keep our net consumption of water to around 100,000 gallons a day (see Sept. 29 entry). This is fully in line with Areva’s third-generation European Production Reactor that we are considering using; depending on the cooling system, these reactors use anywhere from under one million gallons per day to 41 million gallons a day. As for putting radioactive water in the river, that claim is either mindless or mendacious or both. The river water that goes through the plant for cooling has no contact with anything radioactive. It is the same cooling process used for fossil steam plant cycles. The Snake River naturally has high levels of tritium, a radioactive gas, but we won’t be contributing to it. Posted by cleanidahoenergy in AEHI, Elmore County, Energy policy, nuclear industry, reactor types, rural nuclear, Water policy. At the Oct. 8 Elmore P and Z hearing, a number of protestors wore stickers saying the wanted to save family farming. I couldn’t agree more and if these protestors were to educate themselves about nuclear plants, they’d know that nuclear power plants make very good neighbors in rural areas. Because they are quiet, clean and relatively compact, American nuclear reactors fit into a wide variety of settings. Reactors thrive side-by-side with dense urban areas, suburban development, high-end resort towns, farms and wildlife habitat. They discreetly produce large amounts of energy where other options would be inappropriate: coal (emissions), wind (needs large amounts of area, visual concerns, bird and bat deaths) and hydro (disruption to fisheries and land). 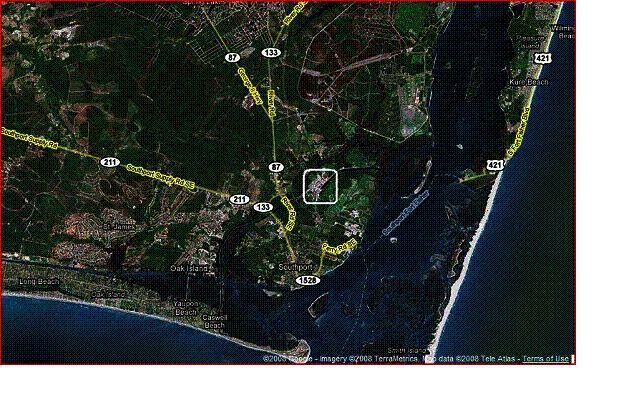 There are just a few good examples accessible from GoogleMaps that show nuclear plants and rural areas. All pictures shown from about 20 miles altitude. Columbia Generating Station, Washington: Borders intensive agricultural uses across the Columbia River. Idaho gets 1 percent of its power from this reactor. LaSalle 1, Illinois: It doesn’t get more rural than this. Farms are located right up against the plant’s cooling pond. Prairie Island 1, Minnesota: Farms, suburban development and wildlife habitat are all in operation around this reactor. 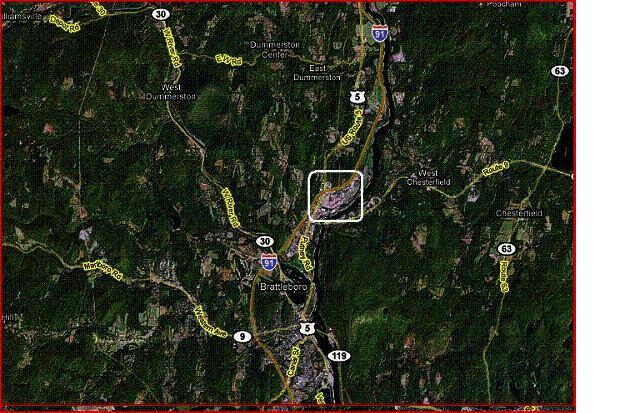 Vermont Yankee, Vermont: Homes and farms are less than a mile away with towns less than 5 miles away. The Idaho Energy Complex will benefit the agricultural community in other ways. Depending on market demand, the biofuels component of the plant could become a cornerstone of the local agricultural economy. About one-third of the energy in biofuels comes from heat (typically natural gas) to sustain bacterial conversion. By using free excess reactor heat, we believe we could produce ethanol for less than a dollar a gallon. The biofuels plant depends on market availability of crops, but many dairies in the area also produce agricultural waste that could help sustain a biofuels plant. If the crops were grown with below-market electricity, that would further reduce the cost of biofuels. The excess heat from the nuclear plant could be put to other uses, such as greenhouses, manufacturing and food processing. So, anyone who says nuclear reactors are incompatible with rural areas needs to do their homework! 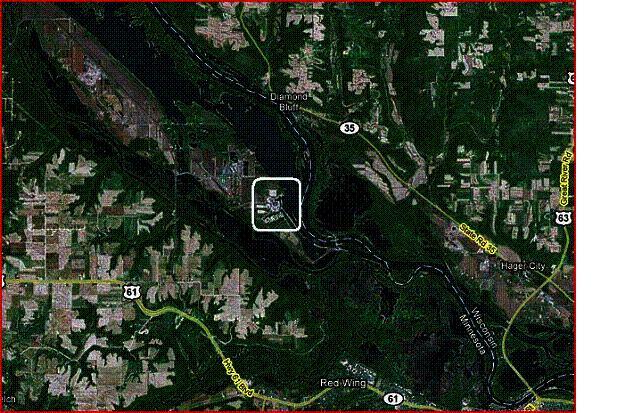 Posted by cleanidahoenergy in Elmore County, Politics and nuclear. Building a nuclear power plant – or just about anything else – is controversial. If you’ve ever tried to develop something out of nothing, you can expect a high level of opposition and even attempts to disrupt your operations. That phenomenon was on full display June 16, at a public meeting we held in Glenns Ferry Opera Theater. Unfortunately, some people in the audience chose to create a distraction and disruption at the meeting. As a result, an anti-nuclear activist was arrested for trespassing at the behest of the Theater owner and a former consultant of ours also charged the activist with battery. I have been called to testify in the trial, which is another unwelcome distraction to our goal of building a nuclear plant. We have asked our former consultant to drop the charges in the matter but it is moving forward regardless. The arrest of the activist resulted in a number of audience members shouting angrily at me saying “kill him” and “take him out,” claiming I was behind this. Meanwhile, I was in the middle of a PowerPoint presentation and I had absolutely no idea of what was going on. Our meeting proceeded after order was somewhat restored, but civility was lost. In 40 years in this business, I have never received death threats during a presentation. Truth be told, I was short with with some members of the audience after the threats because I thought the questioners were anti-nukes seeking to start an argument since that was the style used by many that night. For those who were there to seek legitimate answers to concerns, I certainly apologize for being short with them. However, the disruption that occurred between the activist, former consultant and theater owner is between them exclusively. I wish them all well in working it out – our goal of building a nuclear plant must proceed. Posted by cleanidahoenergy in AEHI, approval process. Alternate Energy Holdings, Inc., the company seeking to develop a nuclear reactor in Elmore County, has submitted the necessary securities registration statement to the Securities and Exchange Commission to become a fully reporting company and in preparation to move to the OTC:BB. SEC approval can take up to a few months, depending on comments and commission workload. OTC:BB companies must be fully reporting and current with all required SEC filings, including audited financial statements, making it easier for investors to find reliable, unbiased information about a company. Among other things, OTC:BB status allows display of real-time quotes, last-sale prices and volume information. AEHI seeks to construct a 1,600 MW advanced nuclear reactor, Idaho Energy Complex that produces electricity and bio-fuels from the waste heat near Mountain Home. 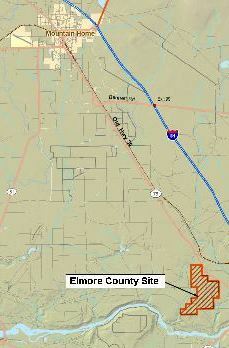 The Elmore County Planning and Zoning Commission last week began a series of hearings regarding the company’s application to rezone 1,280 acres of land for the power plant. The company has one of the industry’s most experienced nuclear management teams. Also, the company has a pending agreement with the Mexican government to construct an advanced nuclear reactor that will also desalinate sea water into potable water. A letter of intent is under development with a landowner in Colorado for an advanced nuclear reactor for electricity as well as joint venture on wind and solar for the Colorado Energy Park. Another AEHI holding is Energy Neutral Inc which uses technology and renewables to virtually eliminate energy bills for homes, businesses and farms. Posted by cleanidahoenergy in approval process, Energy policy, Greenfield nuclear development, Mexican nuclear energy, nuclear industry. Our presentation to the Elmore County Planning and Zoning Commission went well last night and I’m sorry I had to miss it. For the past week, I and other company representatives have been in Las Vegas, meeting with Mexican government officials. As we have already announced, International Reactors Inc., a division of Alternate Energy Holdings Inc., has been working with the Mexican Secretary of Energy and various national and state-level elected and appointed officials on proposals for nuclear power plants and associated desalinization plants. I want to add my voice to those who enthusiastically support closer economic ties with Mexico. As an Idaho-based company, we are proud to be negotiating with the Mexican government and we hope to profitably meet that country’s energy needs. From my own experience, dealing with the Mexicans has been terrific. They are ambitious, eager to develop their nation and understand the value of partnerships. We happened to approach them about a year ago as they were revising their national energy plan. They’ve had good experiences with nuclear power, operating the Laguna Verde plant in Veracruz for nearly 20 years. Our first discussions were about the possibility of adding a 1,600-megawatt, advanced third-generation reactor at Laguna Verde (the same reactor type we are proposing for Idaho). While Laguna Verde has been a good investment, supplying 4.2 percent of the country’s electricity, the Mexican government now prefers to have private investors fund and develop these plants, instead of their energy ministry. After more meetings, we began considering a second reactor in Northern Mexico, to produce electricity for Mexicans and to desalinate seawater, which could then be pumped to farmers regionally, including the American Southwest. We saw even greater potential from there and our conceptual discussions now involve up to five reactors around Mexico. This is the kind of synergy written about in business magazines. Throughout our negotiations, each of us consistently asked the other, “Yes, but could we do more?” From that, a vision emerged, a vision that fused the interests of our company with those of the Mexican government and people. While they know we are a small start-up company, they see beyond that and appreciate our consistent and recognized experience, ambition and contacts in the nuclear industry. During this process, we found Mexican representatives to be highly motivated and forthright. With any luck, we may well be developing our Mexican reactors before we develop the Idaho Energy Complex. Last year, Idaho sold nearly $140 million in exported goods to Mexico. Fellow Idaho businesses accompanying Gov. Otter on his trade mission see Mexico as a good market for potatoes, onions, dairy products and frozen foods. We agree – and to that list, we’d add nuclear power plants. Posted by cleanidahoenergy in AEHI, approval process, Elmore County, Politics and nuclear, Snake River Alliance. On Wednesday, Oct. 8, our project to build a 1,600-megawatt nuclear power plant in Idaho takes its first significant step toward approval. We will begin a series of four public hearings before the Elmore County Planning and Zoning Commission. 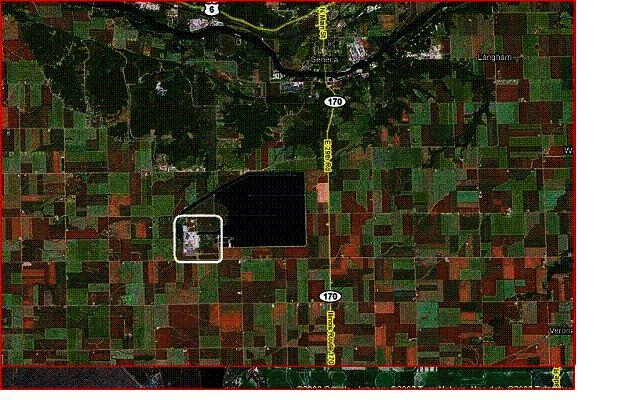 We have requested Elmore County rezone 1,280 acres of land from agricultural to industrial, to allow the eventual submission of a Conditional Use Permit application. The P and Z commission will make a recommendation to the Elmore County Board of County Commissioners, which will have final say. I am very sorry that I won’t be able to attend this meeting. Some months ago I scheduled travel on important business related to AEHI, based on hearings happening in September. Land use decisions can be complex and the county has needed to change its meeting dates to accommodate public comment, so I find I cannot attend. But our application will be in good hands with Mark Pecchenino, and Idaho land use consultant who is spearheading our presentation, and company spokesman Martin Johncox, who will be available to answer general questions. Hearings on the rezone are all on Wednesdays, Oct. 8, 22, 29 and Nov. 5. All meetings will begin at 6:30 p.m. in the Mountain Home Junior High School Gymnasium, 1600 E 6th South. If you are able to, I urge you to attend these meetings, particularly the Oct. 8 meeting, and voice your support. It should pointed out this meeting is limited in scope, only to address the issues surrounding rezoning the property. When we get to the CUP application, we will be expected to submit detailed information on our reactor type, environmental impacts and a great many other things. The Oct. 15 and 21 meetings are set aside specifically for opposition and we expect to hear lots of it. Unfortunately, when people support something, they’re usually complacent, but when they oppose something, they get riled up enough to come to a public hearing. I think that dynamic is one of the reasons why our country has fallen so far behind on energy generation, transmission lines, infrastructure and economic prosperity. I believe the silent majority supports us, but in terms of the planning and zoning commission, they must also consider what they hear from people who are motivated enough, for whatever reasons, to show up or submit a letter. So, if you support our proposal for a power plant in Elmore County, please come to the Oct. 8 meeting and let your voice be heard.